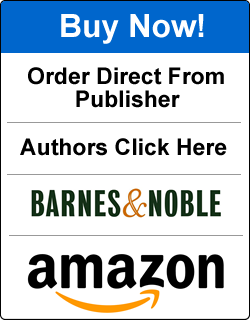 My book follows the adventures of King Pyrrhus of Epirus, in the world left behind by Alexander the Great, which in the next century will become the world of the Romans. He joins the struggle between the Macedonian generals, the Successors, or Diadochoi, who have become kings of the various countries that were part of Alexander’s empire. These adventures take him from Asia Minor to Greece, and then to Egypt, where he becomes the protégé, then the son-in-law of Ptolemy, Pharaoh of Egypt. Ptolemy reinstates Pyrrhus as king of Epirus, and he becomes a powerful figure in Macedonia as well as his own kingdom. In the second volume, a work in progress, he takes the fateful step of invading Italy and Sicily, disputing power with both the Romans and the Carthaginians. 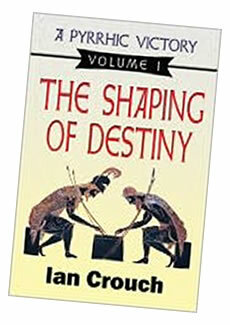 He thus began the struggle between the Greeks and the Romans for dominance of the eastern Mediterranean. It was after his second battle against the Romans at Asculum in 279 BC, where, with heavy losses, he gave rise to the expression, “A Pyrrhic victory,” a victory that comes at such a cost that it threatens to destroy the victor. 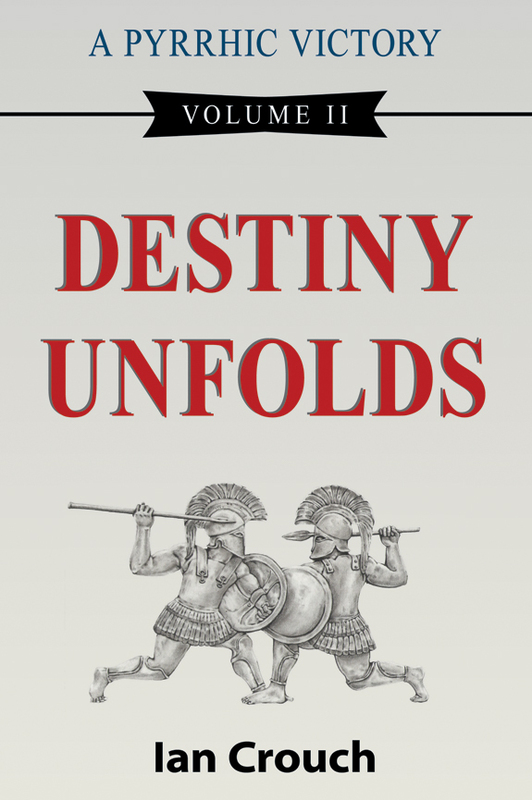 Following up from the award-winning first volume of this trilogy, The Shaping of Destiny,Pyrrhus is now comfortable in his role of king of Epirus. It is 295 BC. He is soon to be embroiled again in his dealings with the great power, Macedonia, and his one-time friend, Demetrius. The cataclysmic event of his life then occurs: the invitation to help the Greek city of Tarentum in Italy. He invades Italy and confronts the growing power of Rome. This struggle between Greece and Rome lasted until 146 BC, the year of the sack of Corinth. It was Pyrrhus’ second victory against the Romans at Asculum in 279 BC that gave rise to the expression – A Pyrrhic Victory – one that comes at such a cost that it threatens to destroy the victor. Pyrrhus was described by Hannibal as the finest commander the world had seen, after Alexander himself. View Press Release.